Royal Family Kids’ Camp is a one-week summer camp in Lake County for children in the foster care system. 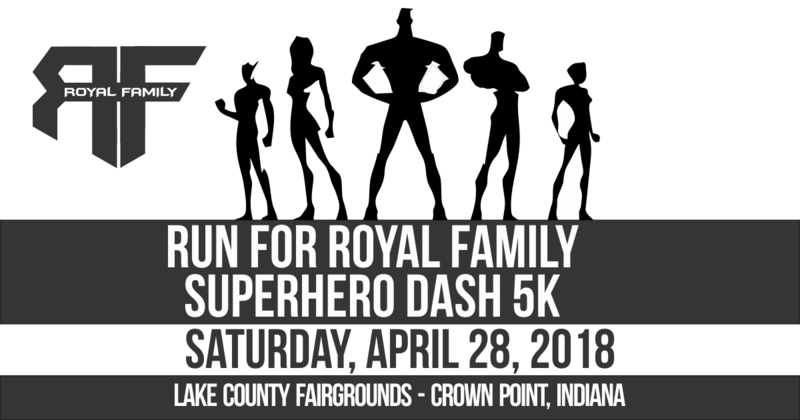 The Run for Royal Family 5K helps make this life-changing event possible for these very special children. Registration fee is $25 if registered by APR 23. Registration fee is $30 day of the race. Three best-dressed superheroes will receive a prize. NO REFUNDS. Superheroes run rain or shine!